The whole point of coercive measures is to alter behavior. Otherwise they are futile. By that gauge, these punishments have failed miserably. Moscow still follows largely the same path on the Ukraine crisis as it did in 2014 - in the sense that the Kremlin has shown no sign of relinquishing Crimea and still supports some form of autonomy for ethnic Russian regions in the east. As they've had zero effect in this regard, it’s fair to say the sanctions have not only been a poor policy, but they’ve also been something of an alibi for the absence of a clear Western consensus on how to manage disagreements with Russia. Not to mention the failure to integrate Europe’s largest military power into the continent’s security system. NATO, which clearly neither knows nor cares that the Cold War ended, remains an anti-Russia alliance and so long as it exists, rapprochement is probably impossible. 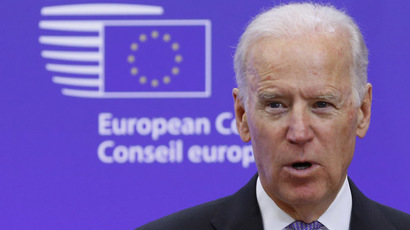 What's more, egged on by America, the EU powers have allowed NATO to aggressively expand right up to Russia’s borders. 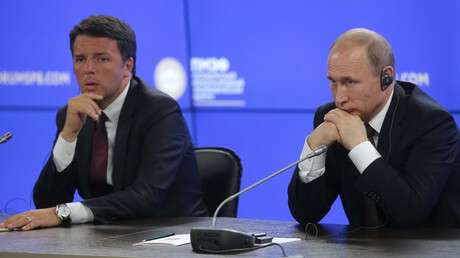 Moscow sees that as the root cause of the current tension. To further complicate matters, Merkel has linked the removal of the boycott to progress in implementing the Minsk agreement. However, it takes two to tango here and the progress of the resolution is also contingent on Kiev meeting its obligations under the treaty, which it has patently failed to do. Yet, Ukraine hasn’t been penalized for its intransigence. Vladimir Putin last week spoke of the absurdity of expecting Russia to take steps under the Minsk accords that Kiev, in reality is obliged to make. But that, apparently, is what Western leaders expect. The economic costs have hurt both sides. Moscow’s decision to retaliate by banning EU food products has been disastrous for the bloc's agronomy, particularly dairy farmers. Putin recently extended the Kremlin's counter-sanctions until the end of 2017 but he also insists Russia is ready to lift them first if it is certain the EU will follow suit. Of course, the fallout has also hurt Russians. Food prices are noticeably higher here since 2014 and there has been a reduction in the quality of some products available in the shops. On the other hand, the domestic agricultural sector is booming and the caliber of produce is noticeably improving. Many analysts harbored hopes the sanctions might be relaxed this summer, especially because of divisions in the EU on its posture towards Russia. Not to mention the bizarre stance of, at least publicly, holding out the prospect of eventual membership for Ukraine while the organization’s second strongest member, the UK, has just voted to leave. Replacing 65 million, mostly wealthy, Brits with 45 million, overwhelmingly impoverished Ukrainians would hardly make the union stronger. The fact the notion even remains on the table fuels suspicions, privately held by Russian diplomats, that the EU’s expansion policy is completely controlled by Washington, to achieve American geopolitical goals. EU Chief Jean-Claude Juncker has acknowledged those concerns in warning that Brussels' relations with Russia shouldn't be dictated by the US. Merkel herself stepped in on Tuesday to dampen optimism. 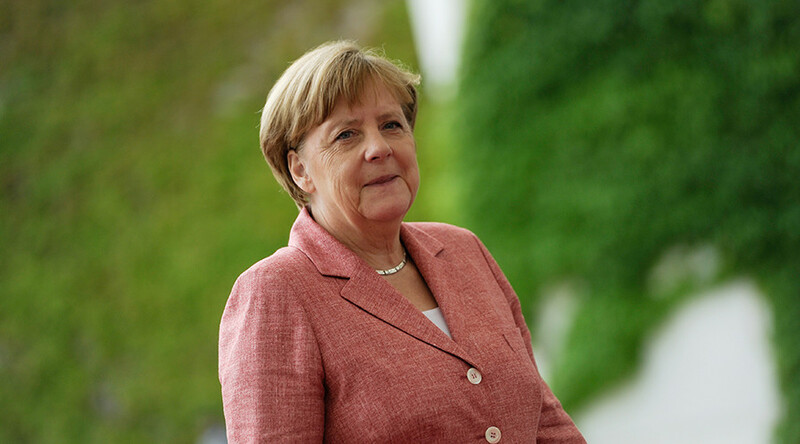 She made it clear to Brussels “that the extension of the sanctions...is sadly necessary.” Merkel also insisted France’s President Francois Hollande agreed with her stance. Hollande’s position is quite incredible. Especially given that, just three weeks ago, France’s Senate voted, by a margin of 302-16, in favor of a resolution designed to lift the embargo. Meanwhile, France’s Agriculture Minister, Stéphane Le Foll, has said, if it were up to him, he’d abandon the policy immediately. 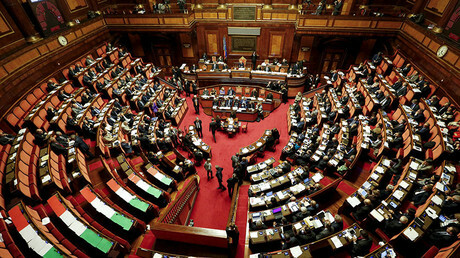 At the same time, the Italian Senate has also adopted a resolution against continued sanctions and Veneto, the country’s wealthiest region, has gone even further by demanding Rome recognize Crimea as part of Russia. 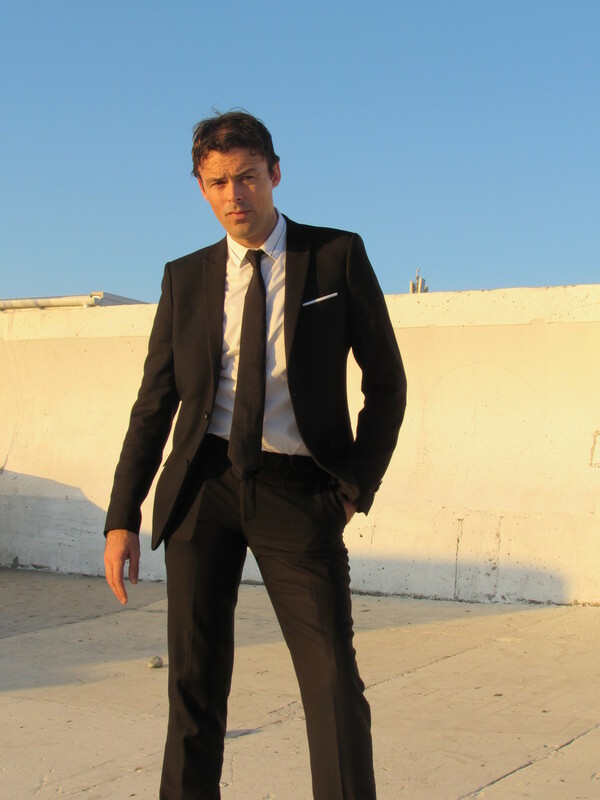 Another northern province, Liguria, has, only this week, passed a bill calling for the resumption of normal trade. Concurrently, Austria’s Chancellor and Foreign Minister have joined the chorus by supporting the “gradual” removal of the penalties. As if that wasn’t enough, in Germany, Sigmar Gabriel has echoed Vienna’s position, saying “isolation brings permanent nothing.” Gabriel is Merkel's Vice Chancellor and the leader of Germany’s second largest party, the SPD, which is gaining support as the Chancellor's CDU flounders. The two groups currently serve together in a “grand coalition” but elections are due next year. 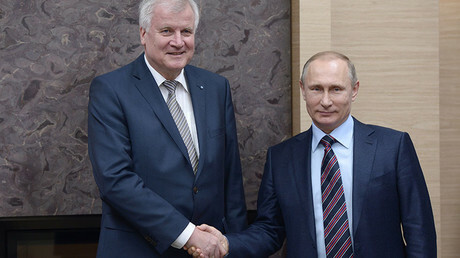 To add to the discord, Horst Seehofer, supremo of the CDU's Bavarian sister-party, the CSU, is demanding a complete revision of Berlin's attitude to Moscow. Meanwhile, whenever these national and regional leaders demand the removal of sanctions, there is always a stock response: “only Brussels can decide.” Yet, nobody can quite figure out who is running the show there and who actually elected them to do so. Merkel’s comments this week suggest that she may be the ultimate arbiter. If so, under what authority? The European Council President Donald Tusk has promised a proper discussion of EU/Russia relations in October. While that’s a step in the right direction, it means another season where discourse between Moscow and Brussels exists in a vacuum, with neither side able to plot a way out of the logjam in the short-term. That’s more than three months worth of extra economic damage and strained association. For what exactly? There are only two rational explanations here. Either Merkel wants to prove to Washington that she’s still in control of the EU and can be relied upon to do its bidding or she genuinely has no idea how to solve the impasse with Russia. Neither interpretation sounds very appealing. Continued sanctions are evidence of her intellectual bankruptcy on how to manage relations with Europe’s largest country.